At Helping Hand Therapies, we perform acupressure sessions when our clients are physically and emotionally ready. We always work at their pace which sometimes means taking it slow and building trust. 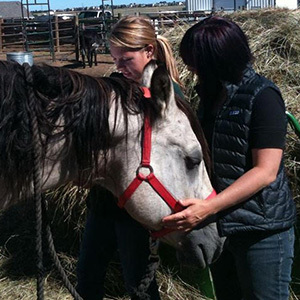 Animals are treated with the utmost respect and never worked on against their will. Acupressure is a form of body work which is effective in alleviating specific conditions and to facilitate in the body’s natural healing process. Our sessions are created based on our client’s specific needs. 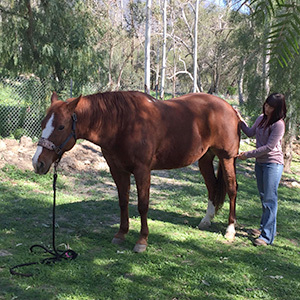 During the initial session, we perform a thorough assessment through observation, review of the horse’s history, perform palpation and finally point work. It is not uncommon for the Acupressurist to give “homework” to the guardian. 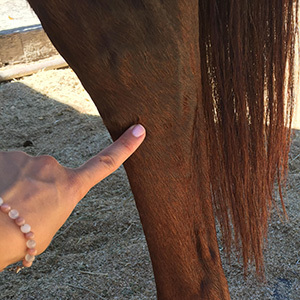 This not only benefits the horse, but also gives the guardian the opportunity to learn about acupressure and become part of the healing process. Thanks for visiting us! Our website is in development. In the meantime, reach us via the ‘Contact Us’ button below. We’ll respond quickly. Be sure to specify your area of interest or question. Thanks for stopping by! We setting up our links to our Facebook, Twitter, etc. social media sites. Coming Soon!